In other news, Allegiant announced the addition of low-cost, twice weekly nonstop jet service to Fort Lauderdale/Hollywood from Indianapolis beginning on April 8, 2015, continuing Allegiant’s rapid expansion in Indianapolis. Copyright Photo: Gunter Mayer/AirlinersGallery.com. Boeing 757-204 N906NV (msn 27236) holds short of the runway at Las Vegas McCarran International Airport (LAS). This entry was posted in Allegiant Air and tagged 27236, 757, 757-200, 757-204, Allegiant Air, Boeing, Boeing 757, Boeing 757-200, fort lauderdale hollywood international airport, Fort Lauderdale/Hollywood International Airport, informational picketing, LAS, Las Vegas, Las Vegas McCarran International Airport, mccarran international airport, N906NV, pilots, St. Petersburg-Clearwater International Airport on January 13, 2015 by Bruce Drum. 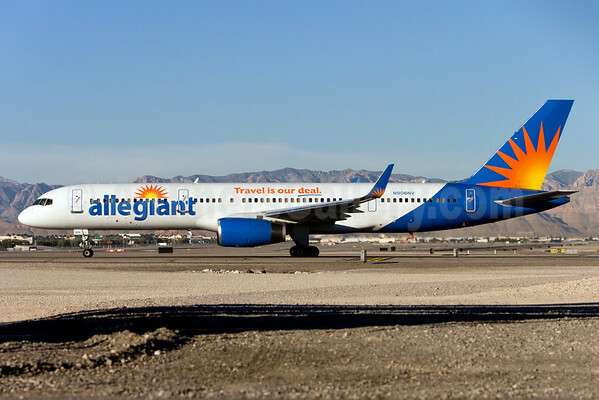 Allegiant Air (Las Vegas) has announced new, twice-weekly nonstop jet service between Los Angeles and Honolulu beginning on October 30, 2013. 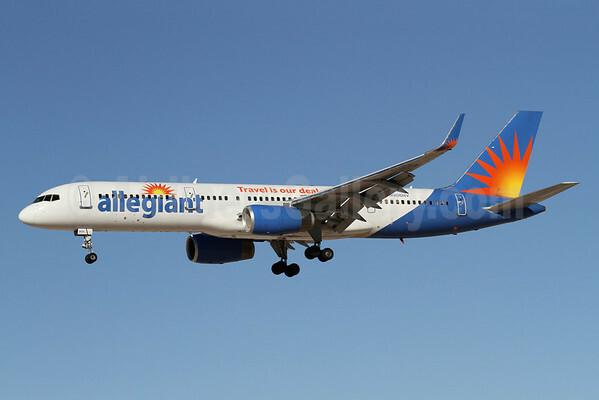 In March 2010, the company announced it signed a forward purchase agreement to acquire six Boeing 757-200 aircraft that enabled Allegiant to expand its leisure travel strategy into Hawaii with flights beginning in summer 2012. 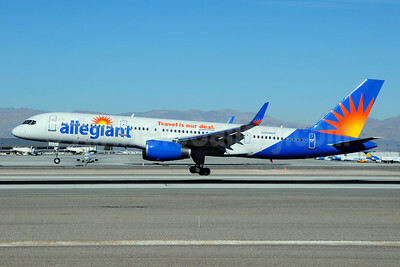 Allegiant currently operates a fleet of 57 McDonnell Douglas DC-9-80 (MD-80) aircraft, six Boeing 757-200 aircraft, and one Airbus A319 aircraft. The Company has agreements to acquire eight additional Airbus A319 aircraft and nine Airbus A320 aircraft, which will be introduced throughout 2013 and the beginning of 2014. Copyright Photo: Ton Jochems/AirlinersGallery.com. Boeing 757-204 N906NV (msn 27236) lands at the Las Vegas home base. This entry was posted in Allegiant Air, Allegiant Travel Company and tagged 27236, 757, 757200, 757204, Allegiant, Allegiant Air, Boeing, Boeing 757, boeing 757 200 aircraft, Boeing 757-200, Boeing 757200, LAS, Las Vegas, N906NV on July 12, 2013 by Bruce Drum.